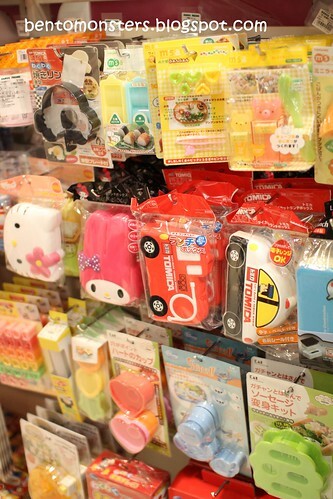 You can find bento stuff in Daiso, Saiyukan and Hands Tailung. The stuff they carry are different, so I think the latter two are definitely worth a visit. 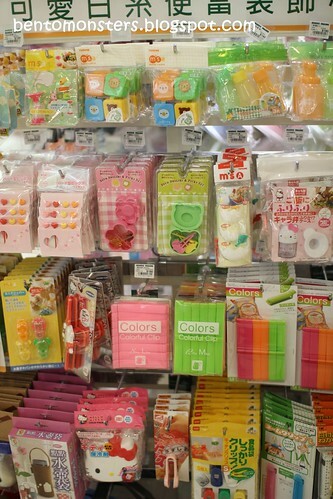 You can probably give Daiso a miss if you already have one in your country. 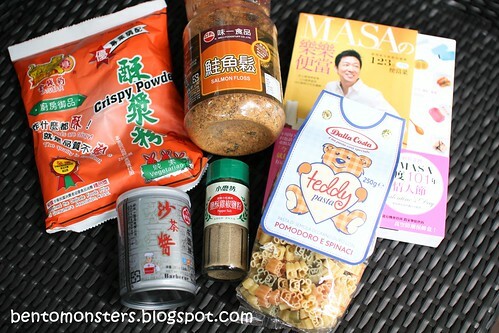 Their bento stuff were the same as what we have in Singapore. 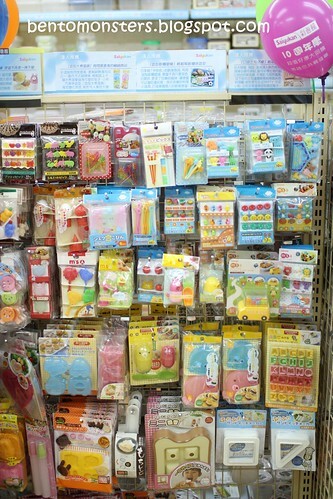 But their goods were slightly cheaper, around $1.70 each. 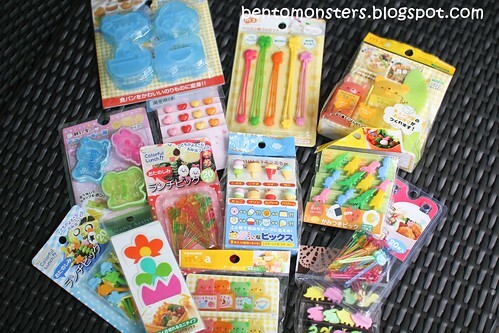 More bento stuff that I saw at Daiso. 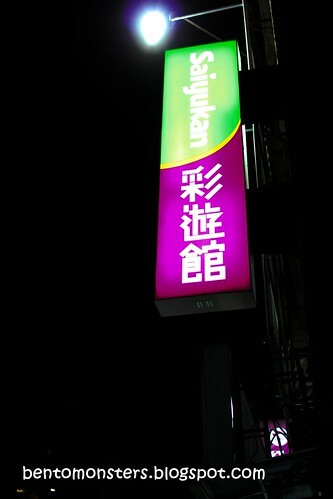 The next shop I went to was Saiyukan. They have quite a few branches, and most of their stuff are relatively cheap. I went to three different branches, and the variety is slightly different. Love their picks, it's cheap, most are priced at slightly over $2. 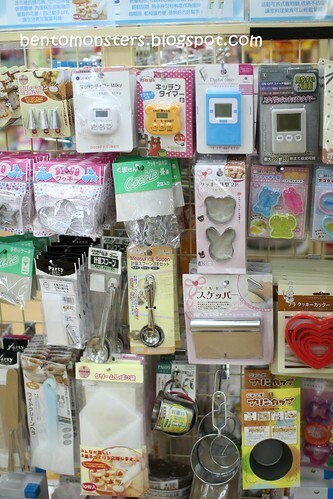 Nori punchers and rice molds. These were from the baking rack. 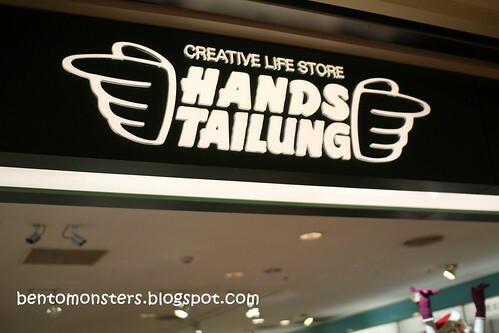 And lastly, I went to Hands Tailung. 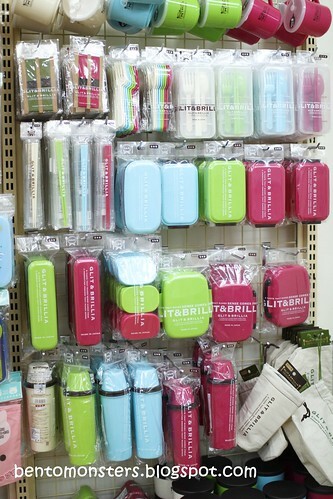 This was opened by Tokyu Hands in Japan. 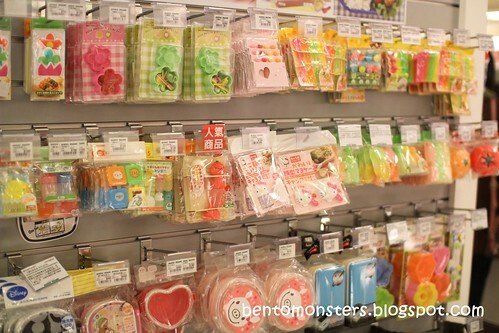 For those who have been to Tokyu Hands, you will know that it spans 7 levels. 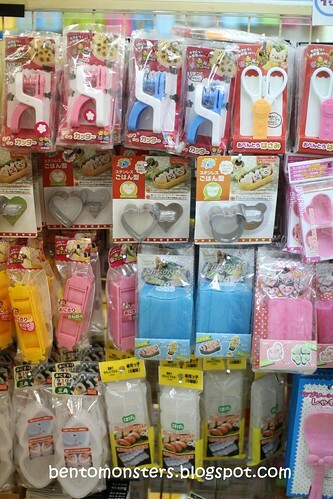 But Hands Tailung in Taiwan is a lot smaller, it's only one level, and so the bento stuff are very limited. 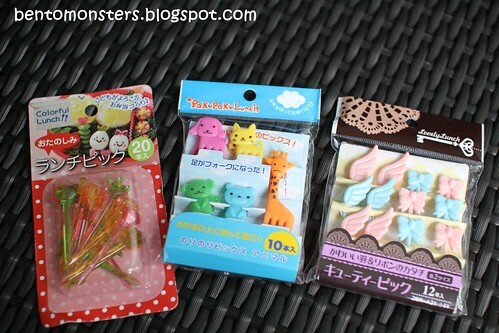 These were from the shop above Taipei train station. These were from Hands Tailung in Zhongli. I love the lego lunch boxes, but they were ex! Saiyukan should be 100 yen company. 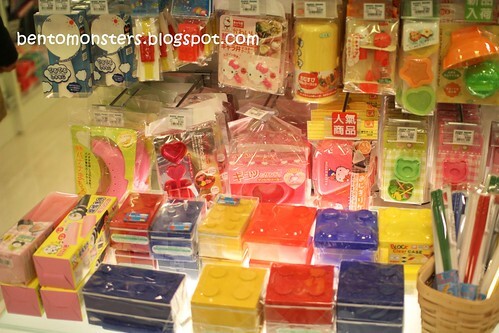 Exactly what I saw in Tokyo but it seems that Taiwan has more stuff. 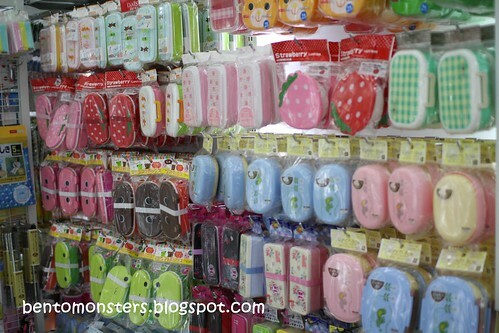 Wow ur post really make me want to go Taiwan to grab those stuff!!! Looking forward to ur 200th bento post!! Glad to discover ur blog! @ Diana, yeah! Now if only We hv those shops here too. @ Anonymous, Pls leave behind ur nick/name next time. 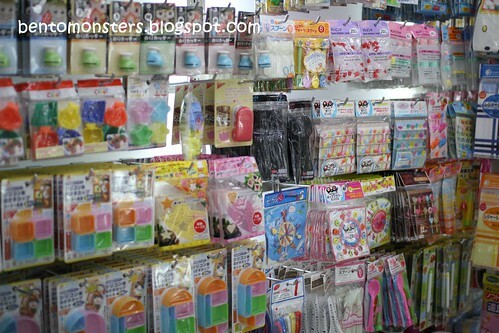 :) Maybe it's coz it's not a 100 yen shop in tw? Oh, Tokyo definitely hv lots more stuff, I din go Saiyukan in Tokyo. 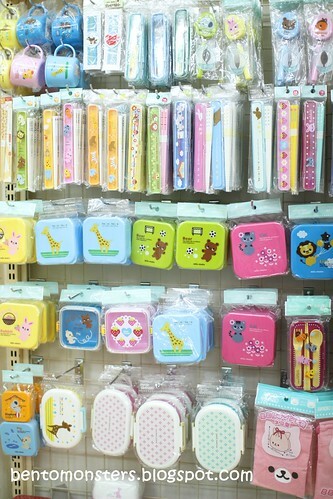 But u can get tons of bento stuff at LOFT n Tokyu Hand, much more than tw.. I saw the photos, drooling over the fd pics. Sorry, I can't figure out how to comment on ur site, so din managed to leave a comment there. You mentioned that Hands Tailung is above Taipei Train station, may I know which floor is it located at? Is it in a shopping mall? I'm going this Sept. Thank you so much for the info. 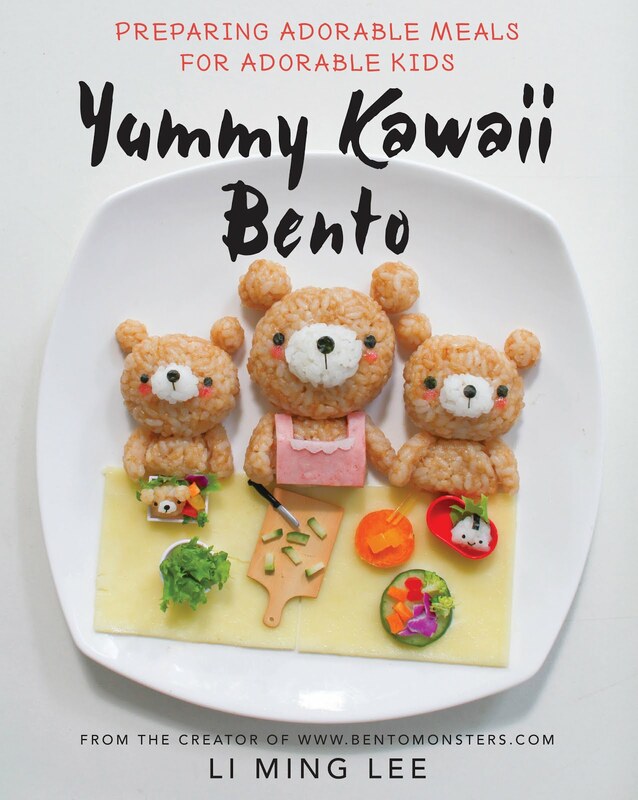 Love your bento creation and can't wait to get my hands on your new book! 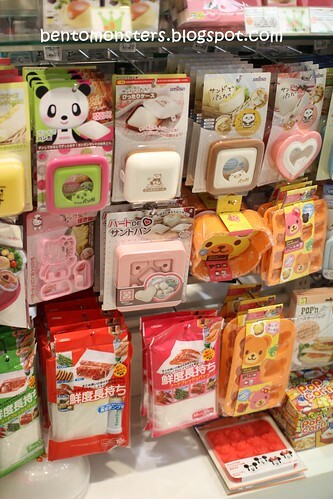 I have a pic of them in the Japan bento shopping section. Awww, Tk u so much and I hope you like the book.